Loma Linda University research explores the effects of avocado intake on satiety, glucose and insulin levels in healthy overweight adults. New research findings on avocado consumption, presented as two posters at the IUNS 20th International Congress of Nutrition, in Granada, Spain suggest that although calorie consumption at dinner was unchanged, inclusion or addition of fresh Hass Avocado to a meal may help to reduce hunger and the desire to eat in overweight adults. 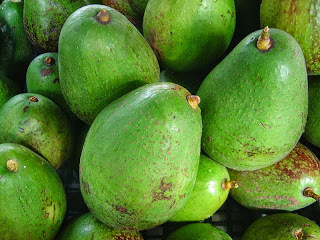 Results also showed that including or adding avocado to a meal resulted in smaller post-meal rises in insulin compared to eating a meal without avocado. Findings were based on a Hass Avocado Board (HAB) supported clinical study conducted by researchers at Loma Linda University that investigated the effects of incorporating fresh Hass Avocado into a lunch meal—either by replacing other foods or by simply adding it to the meal—on satiety, blood sugar and insulin response, and subsequent food intake. The posters “Effect of Hass Avocado Intake on Post-Ingestive Satiety and Subsequent Energy Intake in Healthy Overweight Adults” and “Effect of Hass Avocado Intake on Post-Ingestive Glucose and Insulin Levels in Healthy Overweight Adults,” were presented by Michelle Wien, DrPH, RD, and Ella Haddad, MD, respectively. As part of its commitment to supporting research, HAB recently launched a science-based food and wellness education program, called Love One Today. This program encourages consumers to include fresh Hass Avocados in everyday healthy eating plans to help increase fruit and vegetable intake and as a delicious, cholesterol-free, whole food source of naturally good fats. For more information, free educational resources and recipes visit LoveOneToday.com. The Hass Avocado Board was established in 2002 to promote the consumption of Hass avocados in the United States. A 12-member board representing domestic producers and importers of Hass avocados directs HAB’s promotion, research and information programs under supervision of the United States Department of Agriculture. Hass avocados are grown in California and imported into the US from Mexico, Chile, Peru, Dominican Republic and New Zealand. Contact: Howard Goldstein, M.S., R.D.